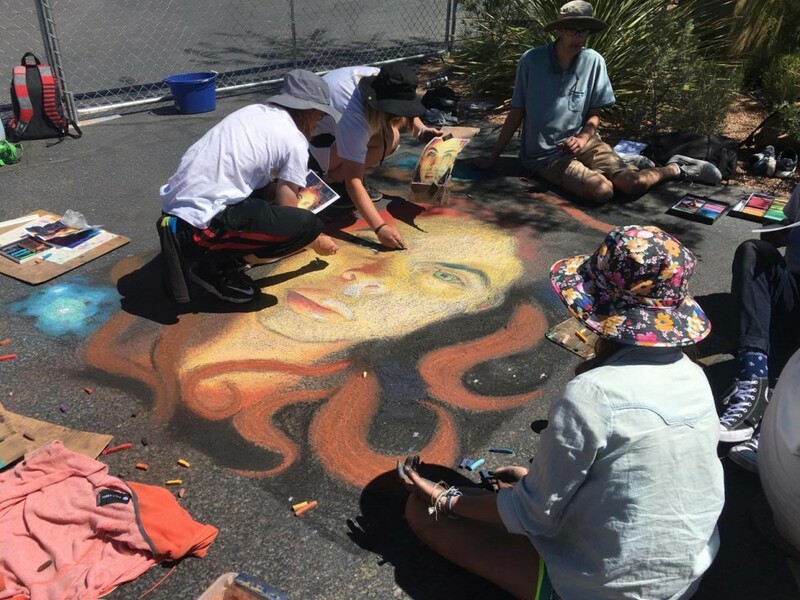 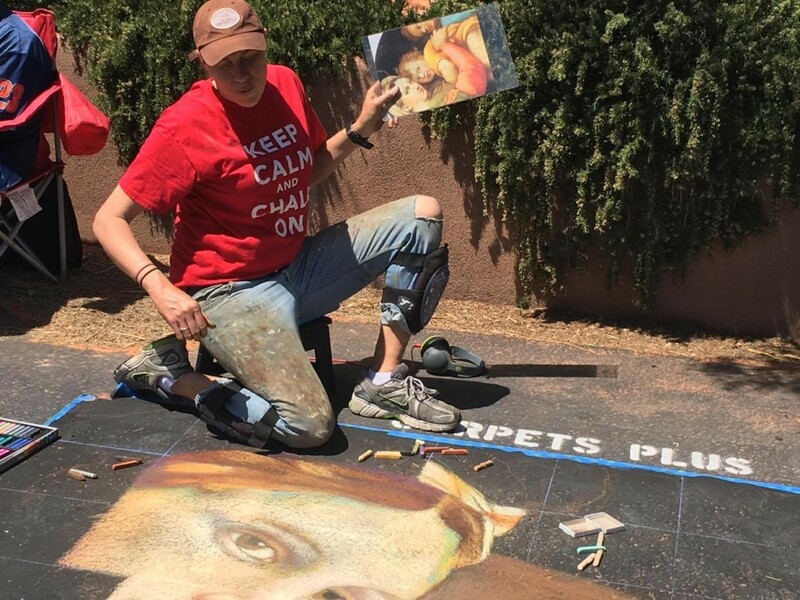 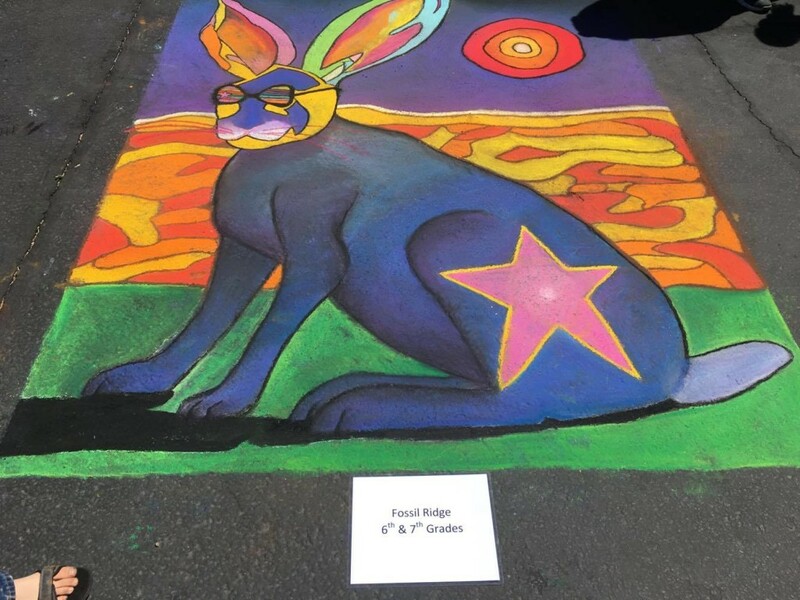 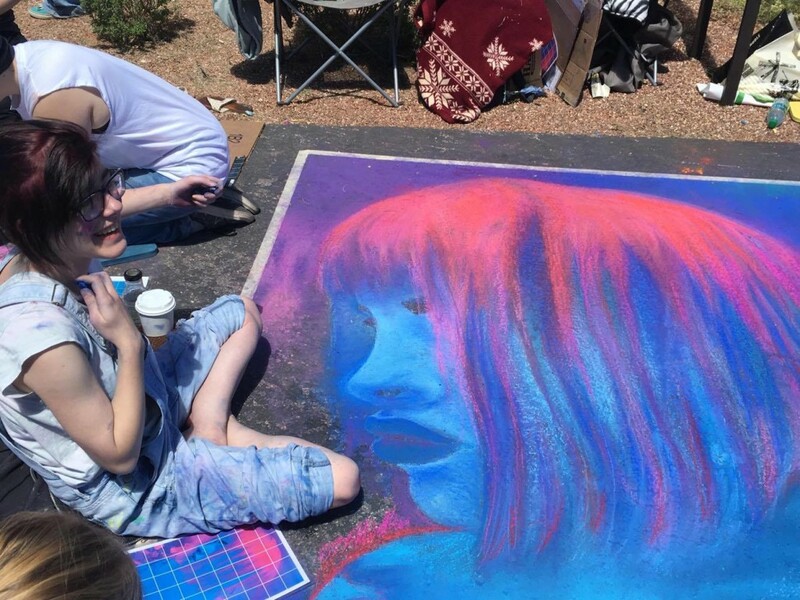 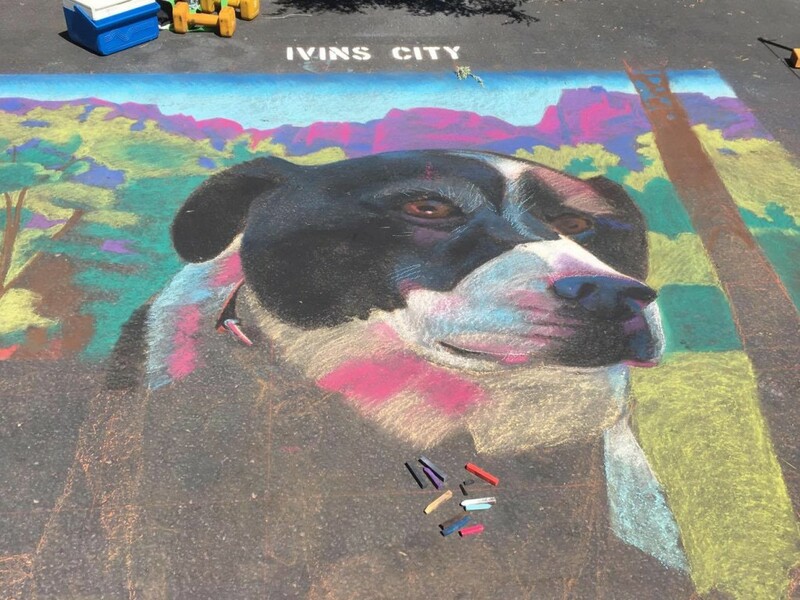 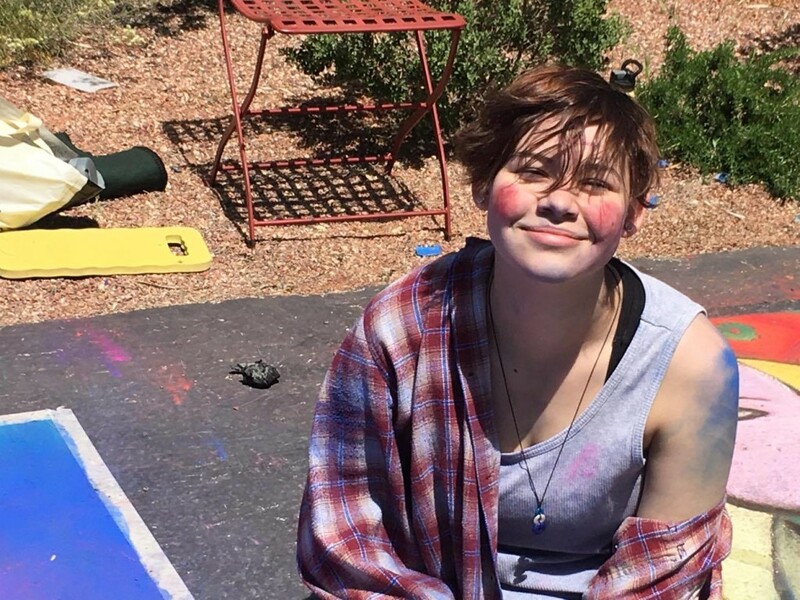 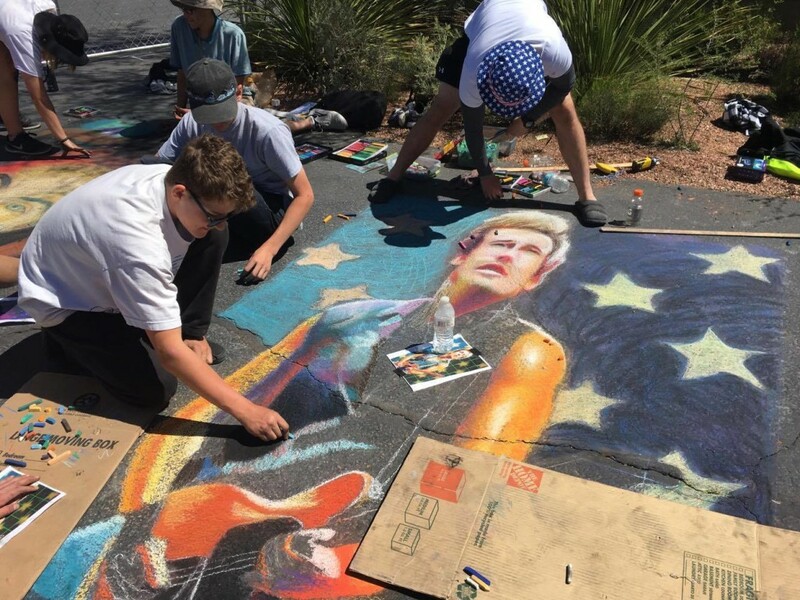 IVINS – The sixth annual Kayenta Street Painting Festival got off to a good start Saturday morning as student and professional artists took to the pavement in the Kayenta Art Village, 875 Coyote Gulch Court, Ivins, to create masterful works of art using chalk as a medium. 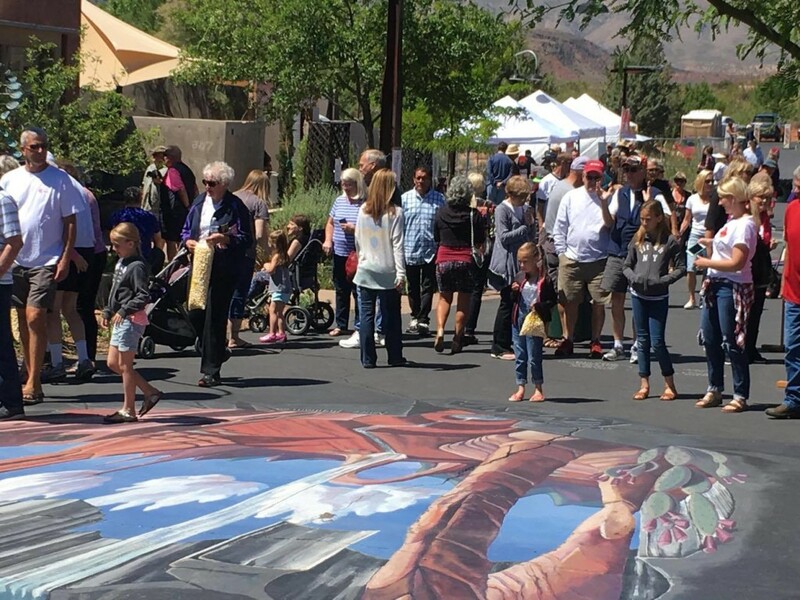 Though blustery at times, the sun came out for this year’s festival as did the crowds, who enjoyed meandering through the village and mingling with the artists. 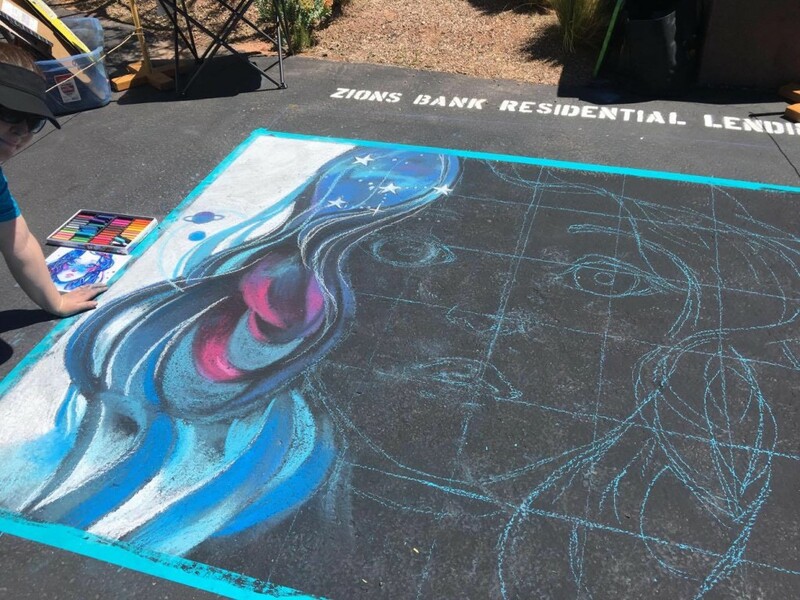 Founded by local artist Aimee Bonham, the festival is organized and sponsored by the Kayenta Arts Foundation. 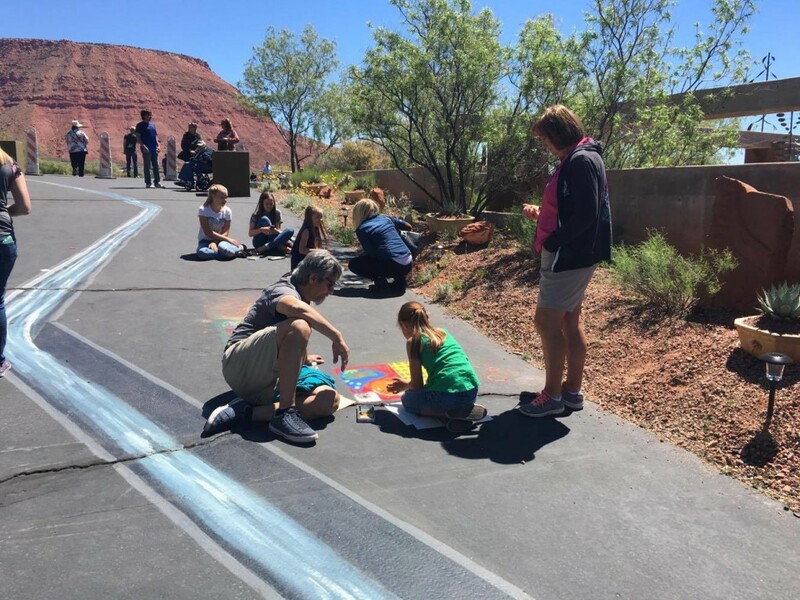 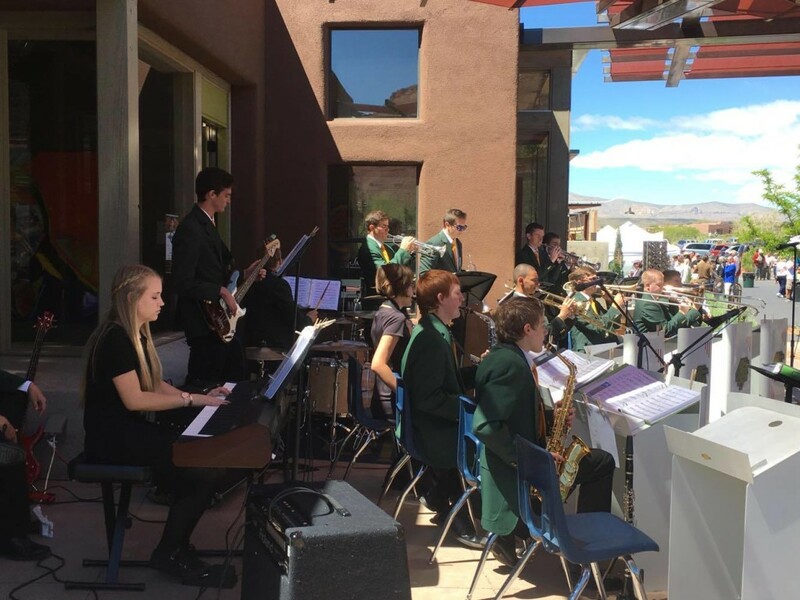 The foundation is currently building a Center for the Arts in the Kayenta Art Village which is slated to be a state-of-the-art facility for performance and visual arts, according to the foundation’s website. 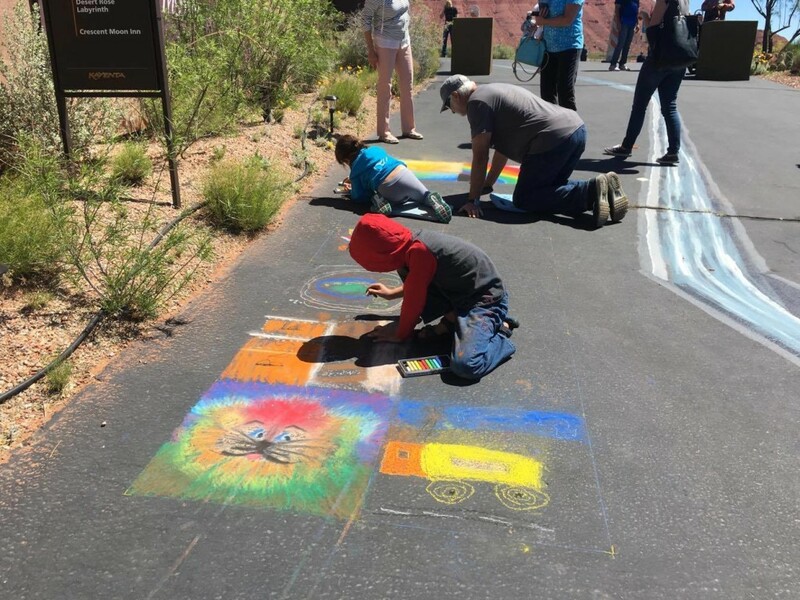 The Kayenta Street Painting Festival offered a little something for everyone including face painting for the kids, shopping for fine art and jewelry, live entertainment acts and unique food vendor fare. 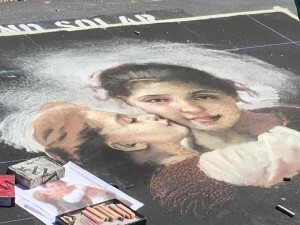 Small squares of pavement were marked off and dedicated for guests who, for $5, could purchase a high-quality box of chalk and create their own street art. 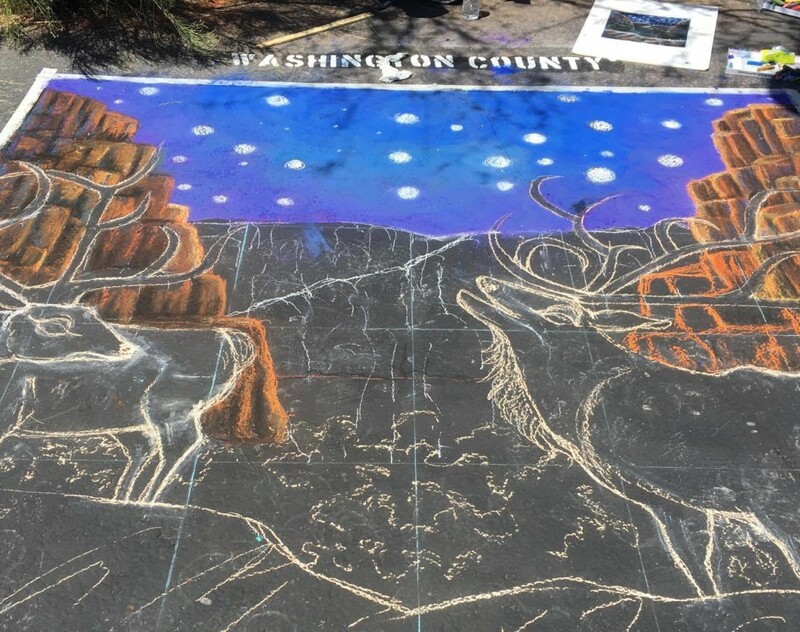 The festival continues Sunday and guests are encouraged to return to see the artists’ finished pieces and vote for their favorite. 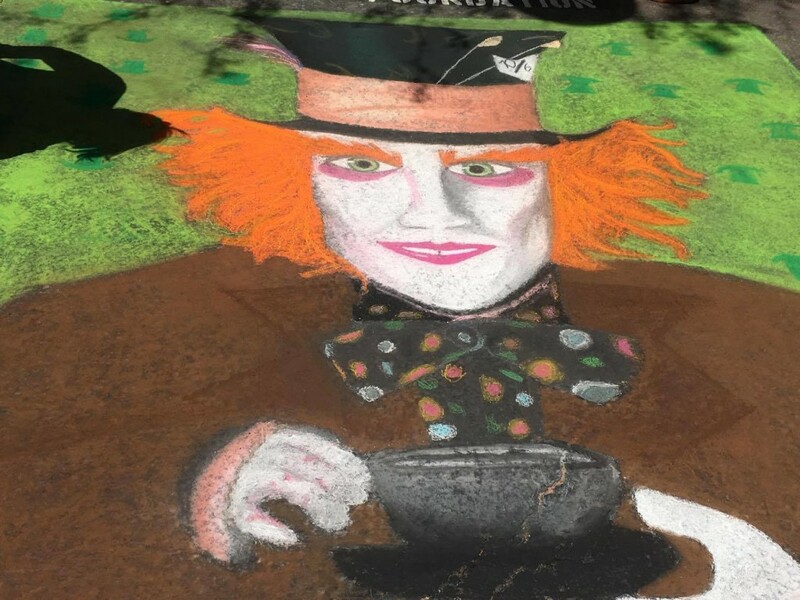 When: April 24, 10 a.m. to 5 p.m.